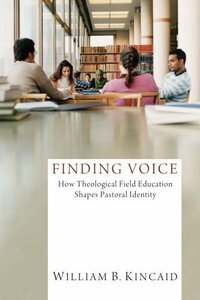 In Finding Voice, Kincaid employs an often used but somewhat elusive metaphor, voice, as a way of speaking of pastoral identity and contends that a lively, imaginative pastoral voice emerges from a thorough grasp of context, theology, pastoral roles, personal journey, and systemic dynamics. Designed as a text for the field education, contextual education, and supervised ministry experiences of seminary students and others preparing for congregational leadership, Finding Voice examines in depth how people are experiencing each of these constituent parts of pastoral voice at their student ministry sites not only to learn about each of the areas, but also to recognize and understand what is being called forth in the students as they engage these five key experiences and begin to visualize their future ministry. The book further explores the opportunities created when the five aspects of pastoral identity are in conflict with one another. In the absence of any one of these or the imbalance of them, pastoral voice gets skewed, and vibrant, effective ministry is undermined. Finding Voice urges students to begin now, with field education, to engage a practice of ministry that is imaginative, courageous, nimble, and faithful.